You will stay ahead of your competitors if you know what's happening to the internet and how users search for information. 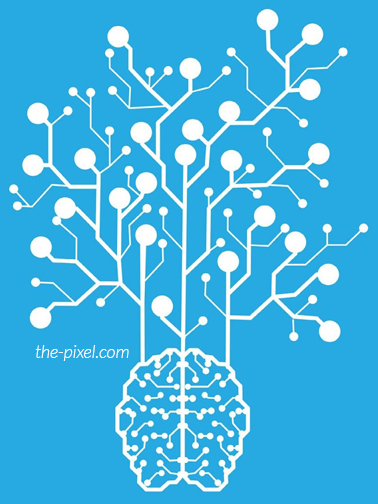 Over the past year, Google has decided to switch gears from a mobile-first approach to an AI-first strategy. Though this change may seem odd since Google has focused primarily on mobile-first for close to a decade, it’s clear the adjustment means the company sees great potential for AI and machine learning based technology. And Google isn’t the only company out there talking about machine learning – Apple referred to the concept multiple times in a recent keynote. As exciting as all this sounds, it can be difficult to understand what the transition means for you and your business. While we don’t know exactly how things are going to pan out, we know one thing for certain – AI is the way of the future, and you’d better do what you can to prepare for it. Right now, public perception of AI is changing. Just 10 or 15 years ago, few people were familiar with the concept of AI and machine learning. Now, studies show 72% of people understand what AI is, and only 28% of them are uncomfortable with the thought of it – leaving plenty of room for companies like Google to step in and wow the public with innovation. That’s one of the main reasons we’re going to see such explosive growth in the field over the next decade. Google Lens: Announced at Google I/O 2017, this is an app that allows people to use their smartphone cameras to take pictures of the world around them and get information. You could take a picture of a storefront, and Lens would provide information about it, such as ratings, reviews, and sales. Smart Lenses are also getting attention from Apple and Facebook, too. Enhanced Google Assistant: Google Assistant is the technology powering Google Home, and we’re seeing it become more functional, becoming compatible with more apps and services. For instance, it works with iPhone, can control music, navigation, smart home controls, and conduct conversational searches. We expect it to continue growing and becoming more useful to compete with other companies like Amazon and Apple. In the B2B world, the mobile-first approach hasn’t worked as well as it has for B2C. While in the B2C sector the majority of the traffic comes from mobile devices, so a mobile-first approach is vital, 80% of incoming B2B traffic still comes from desktops. Lead generation forms still work better on desktops than they do on mobile devices, and mobile-first strategies haven’t been the best. But, the good news is that where mobile-first has left gaps for B2B, AI-first can make up for it. The mobile revolution created more work for marketers because there were more web pages and advertisements to design and track. AI, on the other hand has provided marketers with tools that allow them to focus on building more creative, personalized, and qualitative projects. 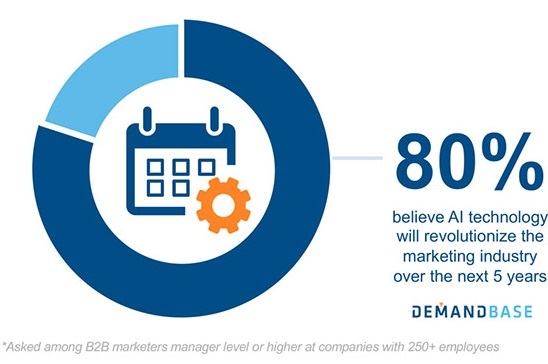 Using AI-powered solutions, marketers are able to save hours of time that used to be dedicated to admin work, allowing them to shift their attention to other areas of the business. As AI can track customer behavior and boost sales, it has a much greater potential for both B2B and B2C sectors. As we see the AI-first approach continue to grow, there are bound to be numerous applications for it to help improve your business. But, no matter what, you’ve got to be ready to adapt and roll with the punches. Your company may even be able to work alongside Google’s foundational work to develop your own ideas using machine learning technology.